A crib is a must when you bring home your little bundle of joy. Though these are not usually pricey yet there are some spectacular baby cribs that command quite a high price tag- reaching up to millions. So what makes these cribs so expensive? 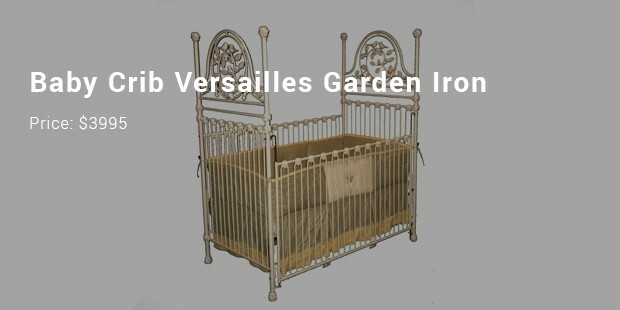 Well, the most expensive baby cribs are no generic products and are specially made by eminent designers. Most of them are one-of-a-kind and limited edition. 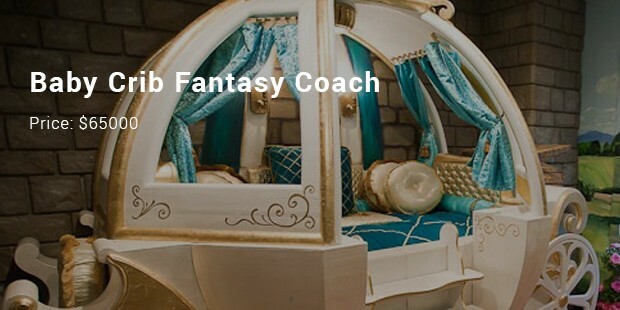 These could range from cribs designed as Cinderella’s carriage to a designer crib made from solid gold! 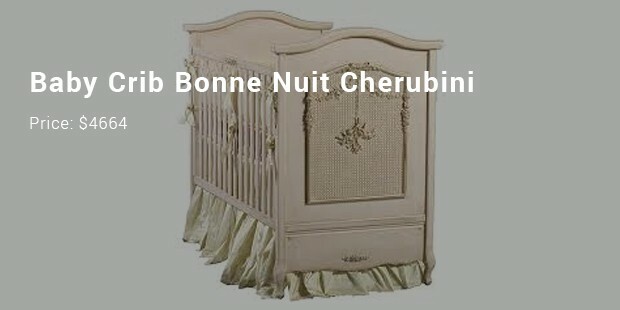 Are you getting curious to know more about these baby cribs? Here comes the list for you. 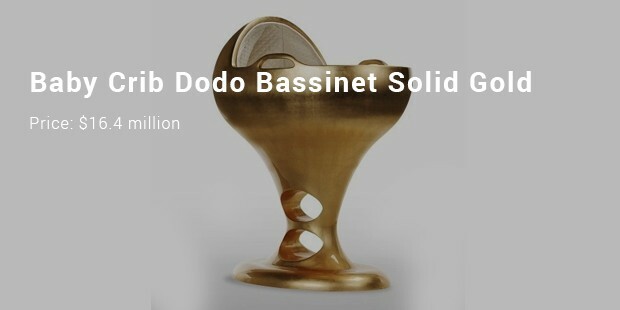 This solid gold baby crib has been designed with 24k gold & it weighs around 188 kg. Designed by famous designer Ximo Talamantes, this crib measures nearly 96 cm by 114 cm by 66cm. The product is shipped with international delivery insurance. 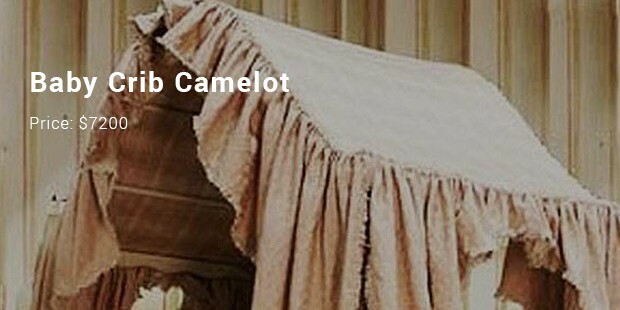 This is surely the dream crib for any baby. The 6ft tall handcrafted crib is made from wood & fiberglass & comes with a full bed. A hot favorite among celebs for their kids, this gorgeous crib was ordered by Kim Kardashian & Kayne West. 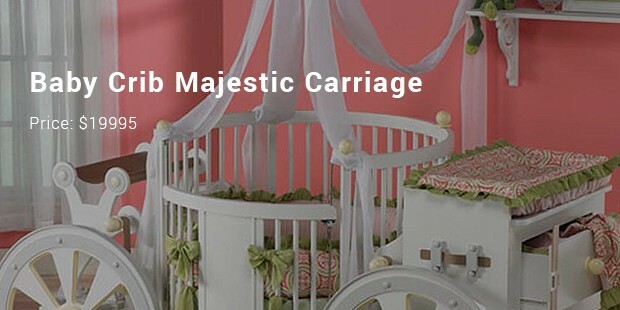 If you are planning a royal treat for your little one, this majestic baby crib is the one for both of you. Made from solid cedar, this crib carries multiple birch details, front seat made of faux leather & round mattress. It weighs nearly 25 pounds & comes with luggage rack. 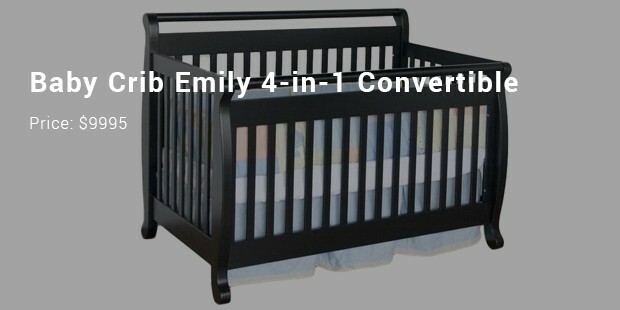 This convertible crib is available in ebony, espresso, honey oak, natural, cherry & white. It’s simple yet smart & features additional robust slats to ensure extra security & sustainability. You will find metal & spring mattress backup for optimum support. 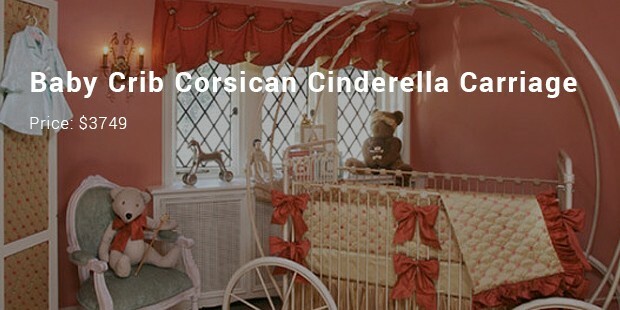 These baby cribs are no ordinary cribs but are especially tailor-made to bring an extraordinary touch- no wonder; they have celebs as their keen clients. However, it should be mentioned that these special cribs carry excellent artistic inputs and rich craftsmanship.